Weather is a big risk to ground ops. Yes, we know it’s something that isn’t at the top of most airport safety decision-makers’ lists, but it should be. When most people think of severe weather and airport operations, they picture lightning or hail striking an airborne plane. However, ground ops encounter a bigger severe weather risk every day. Why? We think there are three top reasons why weather is a big risk to ground ops and why managers must protect them. Keep reading to figure out these scary reasons why severe weather is such a big risk and what you can do to mitigate it at your airport. Ground ops have to avoid high winds, lightning, freezing rain, and hail while safely completing their job responsibilities. The least airport and airline managers can do is move them to safety when these instances occur. A lot of the times, the first major problem is that airports and airlines do not have a severe weather warning system in place. This needs to be a defined solution that everyone knows the protocol on. 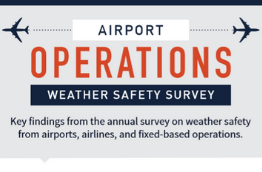 Sure, many airports and airlines receive the National Weather Service’s Airport Weather Warnings (AWWs). While there is nothing wrong with the data and warnings from NWS, they do not rely on total lightning to send out these warnings. 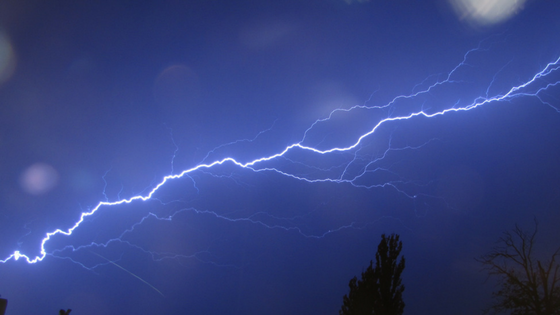 Total lightning is the combination of in-cloud and cloud-to-ground lightning strikes. 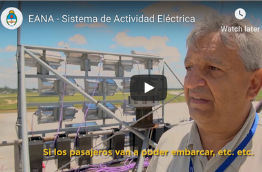 But why is in-cloud lightning important to detect for those on the ground? Simple: In-cloud lightning makes up 80% of all lightning strikes and is often a dangerous precursor to other severe weather conditions that threaten ground crew like high winds, driving rains, and cloud-to-ground strikes. Using a weather warning provider that detects in-cloud lightning is the safest way to get a full picture of incoming weather hazards and protect ground crew. Even if your airport does have warnings, it may be impossible for your ground crew to receive them. We don’t have to remind you that airports are an extremely loud and busy environment. 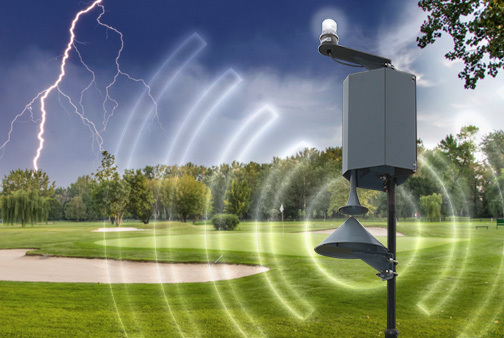 A lot of severe weather alerting solutions on the market today only offer a horn alert, which can be lost in the roaring of airplane engines. If you have a system and it’s just a horn, does your ground crew respond? Having the system is not enough. You have to ensure employees can easily utilize it and keep themselves safe from severe weather. There are other ways to receive severe weather alerts. 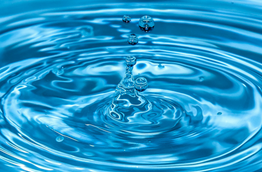 As nearly everyone owns a mobile phone nowadays, text alerts and application push alerts are popular methods to receive alerts. However, this doesn’t work for airport personnel who are not allowed to use their phones on the job and most likely wouldn’t hear them anyway. Both of these popular warning methods aren’t ideal for ground ops. So what can you do? Protecting ground ops from severe weather isn’t easy. Like all difficult tasks, it is however easy to put this off until something tragic happens at your airport. Don’t let that happen to you. Believe it or not, there are solutions out there that are helpful to ground ops. Since they can’t hear or receive text messages, the best solution is a strobe alert. Coupled with severe weather safety training, ground ops can be better prepared for lightning, hail, and other forms of dangerous weather. 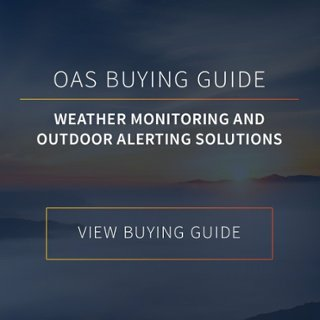 To learn more about the different types of solutions on the market today, download our free Outdoor Alerting System Buying Guide below. A scary example of what can happen when airports don’t protect ground ops occurred in August 2017. A 21-year-old employee on the ground crew was backing out a Sun Country plane at Southwest Florida International Airport in Fort Myers when lightning struck. The lightning bolt hit the plane’s tail, sending a current through the fuselage. This lightning strike knocked the employee off of his feet and sent other employees scrambling to assist him. The man survived, although the bolt left him with third-degree burns and left his family traumatized. Make sure you keep your ground crew safe. Each airport is different. Some airports opt for their own severe weather safety while others leave it to each individual airline. The point we are vehemently trying to make is that it doesn’t matter who is in charge of lightning safety, but it has to be someone. Severe weather is just too dangerous to ground ops who are outside next to giant lightning conductors with no shelter. 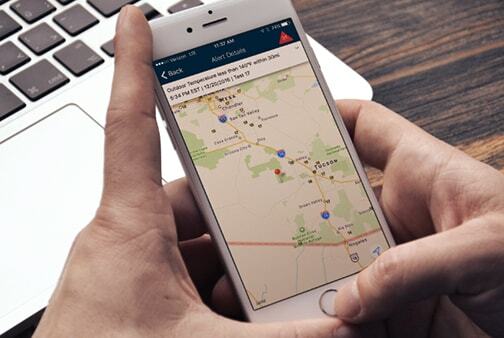 Please explore the different severe weather alerting and tracking options weather data providers like Earth Networks offers and keep employees safe.